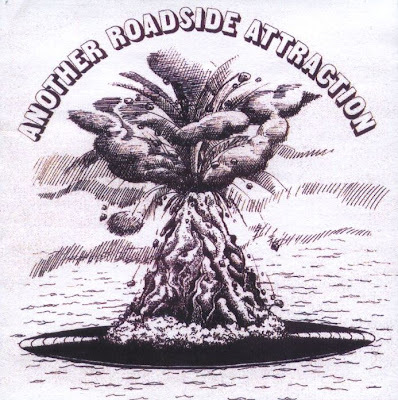 It's quite strange that the opening track on the only album by Canada's Another Roadside Attraction would start out sounding like something from a Grobschnitt album, but for the most part that's just an aberration. This album is unusual for a Canadian progressive rock album in that it doesn't have a lot of the French/Quebecois strains that inform bands like Pollen, Contraction, and Harmonium, nor is it folky in the slightest. The music is generally led by a twin keyboard attack which often means a piano base under synths, similar to the approach of Argentines Pablo El Enterrador. For the most part, this is an accessible rock album whose similarity to symphonic rock groups is mostly due to the preponderance of keyboards, particularly in the instrumental sections which bear the influence of Emerson, Lake and Palmer. Most of the vocal-led sections, however, are more conventional while still being elaborately arranged. The vocalist reminds me of Chapman from Family quite a bit, but not quite so warbly - he's adequate, but not a standout. Some of these parts remind me of the song-oriented material from second generation progressives like England or Druid, yet these generally flow quite well with the more complex keyboard-led moments. It's a good album overall, melodic and accessible like many Canadian symphonic groups, but somewhat unusual with its somewhat song-oriented style and keyboard overdose.